Boulevard Condominium (Ayer Itam) for sale. Is located at Solok Thean Teik, Ayer Itam. Boulevard Condo Penthouse (Air Itam) for sale. Is located at Solok Thean Teik, Air Itam. Property located at Farlim, Penang. Boulevard Condo 936sq. Ft Fully Renovated Partly F.
Boulevard Condo. Penthouse duplex. 4 carparks. Originals unit. Good location. All Season Park Condo was located at Ayer Itam, Farlim, nearby BL Garden, Shineville and Boulevard. Boulevard condominium. 936sqf. Fully Renovated. 2 carpark. High Floor. No direct. 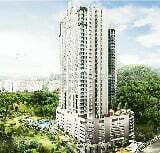 FOR SALE Boulevard Condo (high floor) @ Farlim, Ayer Itam FOR SALE: RM 580,000 ne. Boulevard Condominium Farlim Ayer Itam. 3 bedroom. 2 bathroom. Fully renovated. FOR SALES: All Season Park near Shineville Park, Boulevard Condo. 1091sqft. 2 Car Park. FOR SALES: All Season Park near Shineville Park, Boulevard Condo. 1091sqdt. 3+1 Bedroom. FOR SALES: All Season Park near Shineville Park, Boulevard Condo. 1091sqft. 2 Car Par. -Rare in market. 1808sft. Brand new unit. 4 car park kindly contact me for more info.